So, How Many Days to See Disneyland? 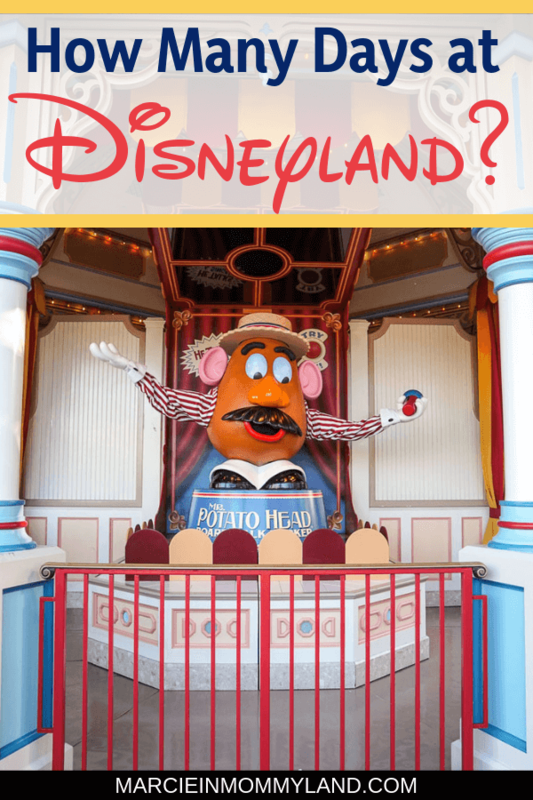 ARE YOU DOING MORE THAN DISNEYLAND ON YOUR VACATION? If you are heading to Southern California for your vacation and Disneyland is just one of your stops, that will definitely affect how many days you should spend at Disneyland. You’ll need to factor in driving time to your other stops. If you are staying an hour away or more from Disneyland, you might not want to make that trek more than one day. We recently did LEGOLAND California for 2 full days and then Disneyland for 2 full days and we stayed at hotels close to each location. I only ask because this might affect your pace and it also limits some of the rides you can go on. 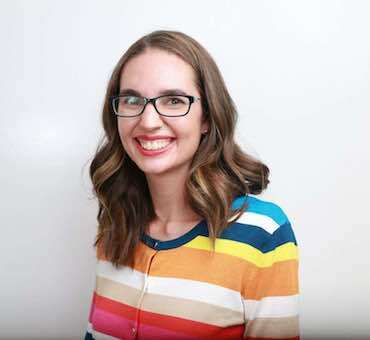 When I went to Disneyland while 5 months pregnant, I found that I needed lots of bathroom breaks, pit stops for snacks, rides with air conditioning, and I wanted to eat at sit down restaurants to get off my feet for awhile. I also set aside some time to do pregnancy announcement photos. Read my Disneyland while pregnant post. ARE YOU BRINGING A BABY? If so, you might want to plan on a few stops at their awesome Baby Care Centers at both Parks. It’s a nice, quiet, air conditioned place for your to nurse/feed your baby, plus there are lots of changing tables. Read my Disneyland with a baby post. ARE YOU BRINGING A TODDLER? Toddlers under the age of 3 years old are FREE. If your toddler usually naps, you’ll need to decide if you want to head back to your hotel mid-day or power through in hopes they will nap in the stroller or carrier. And this might also affect how late you stay in the Parks. If your toddler is potty training, you’ll want to build in time for all the bathroom breaks. 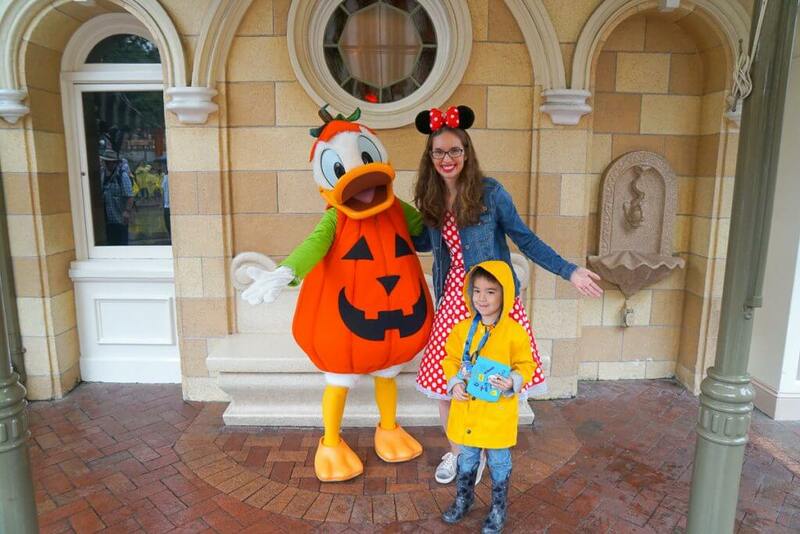 Read my Disneyland with toddlers post. 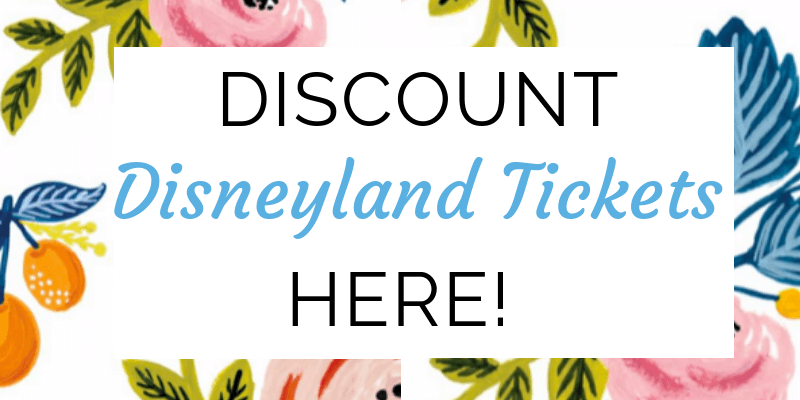 If you live in Southern California, you can take advantage of the SoCal Disneyland ticket which will save you a lot of money! If you don’t have to worry about a hotel room, you can easily do a few one day trips to Disneyland. 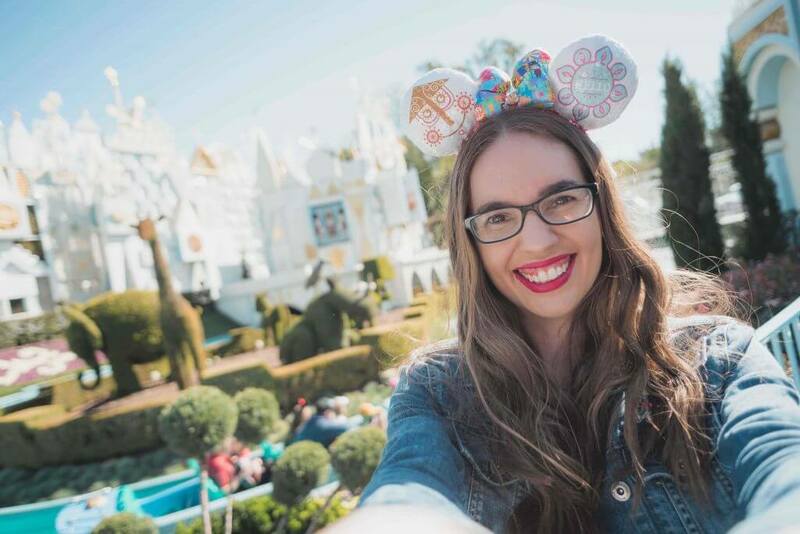 ARE YOU DOING DISNEYLAND ON A BUDGET? Disneyland tickets can add up quickly. This is especially true for families! So if you are trying to save money at Disneyland, the easiest way is to limit the number of days in the Parks. You can always supplement with pool time at your hotel or exploring Downtown Disney. ARE YOU GOING FOR A SPECIAL EVENT? 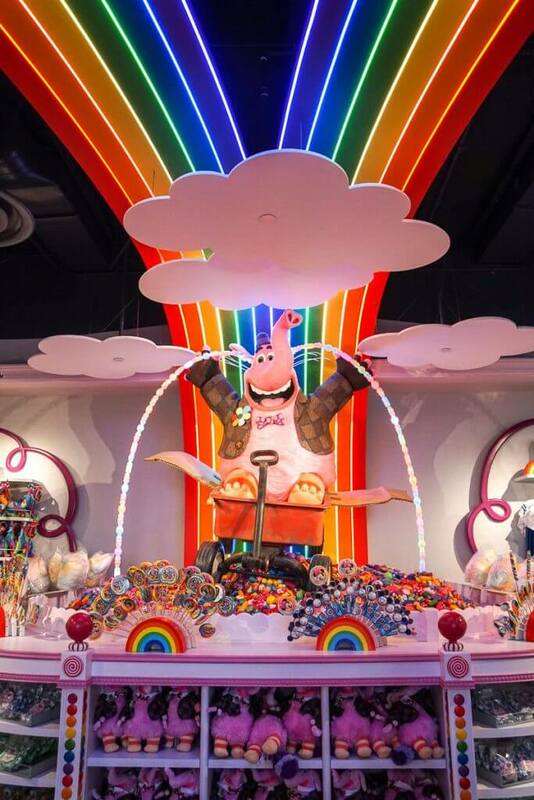 If you are going during Halloween Time, Mickey’s Halloween Party, the Holidays, or the Disney California Adventure Food & Wine Festival, there are additional activities and events that you’ll want to consider. You might want to add a day to participate in the events or avoid a Park all together. Be prepared for extra crowds during events, which means longer wait times for all the characters and attractions. WILL YOU BE GOING FOR STAR WARS: GALAXY’S EDGE? If you would like to experience Disneyland’s new Star Wars land, you will definitely want to add extra days to your trip. They are predicting 4 hour waits for attractions and it will be PACKED. And we won’t know how this will affect the other areas of the Parks, but I’m guessing everything at Disneyland Resort will have a long wait. If you aren’t a Star Wars fan, you might want to focus your time at Disney California Adventure with just one day at Disneyland. Is One Day Enough For Disneyland? I was just at Disneyland a couple months ago for the AWEsome Retreat (a theme park blogging conference) and I spent one day at Disneyland. It’s the first time I’ve gone for only one day. I upgraded to a Park Hopper ticket so I’d be able to experience the Disney California Adventure Food & Wine Festival. Now, I didn’t have any kids with me and I walked all over the parks for 14 hours with very few breaks. I also didn’t spend much time waiting in ride lines that were too long. Most of my time was spent taking photos and video throughout the Parks and doing blog-related tasks. And I’m planning on doing the same for a few FLOCK conferences I’m attending later this year. So, can you see Disneyland in a day? Yes, depending on what you plan to do. 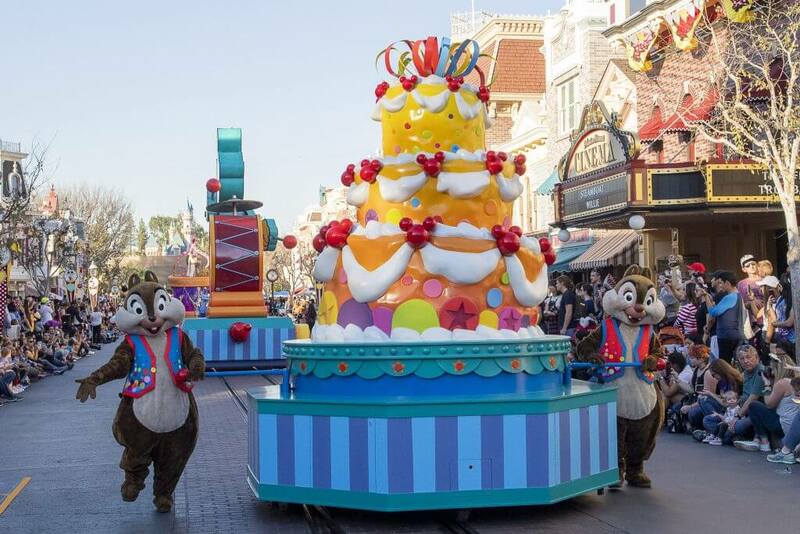 If you want to do a few rides, enjoy some Disney treats, and meet some characters, you can definitely do that in one day. And if you are planning on coming back to Disneyland in the near future, you’d be able to prioritize what you want to do this trip. However, if this is your first Disneyland trip or you are hoping to do/see “everything” than one day would be unrealistic. So, let’s talk about my favorite ticket packages. My favorite ticket options are the 3 day pass and the 5 day pass. For most families, one of these options will work best and they include the infamous Magic Mornings. 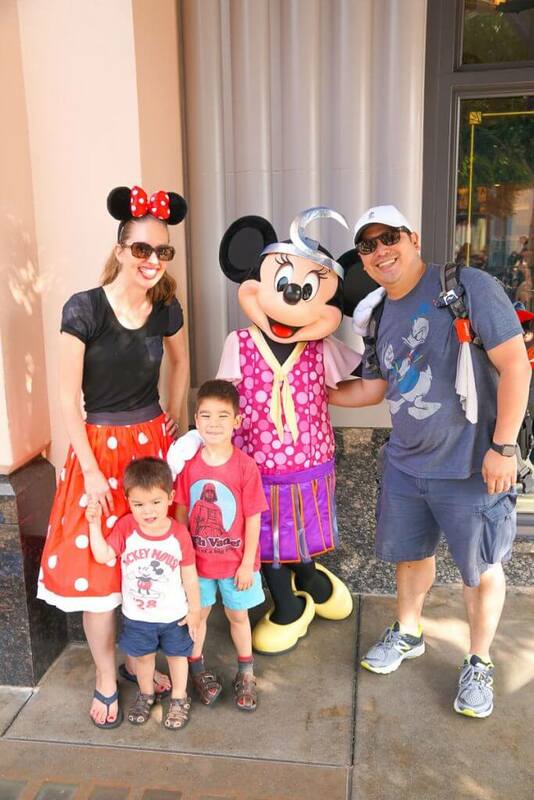 For my family, we typically do 3 full days between Disneyland and Disney California Adventure. It usually ends up being 2 days at Disneyland and one day at Disney California Adventure. Or, we’ll get Park Hopper tickets and do one full day at Disneyland and then split our time between the two Parks for the other two days. When you purchase a 3 day ticket, you’ll get one Magic Morning. This allows you to enter a Park one hour before the general public. It’s a great way to do some of the most popular rides at Disneyland with minimal waiting. This works well for our family because we always know this won’t be our last trip. We try to go at least once a year. We also have younger kids and don’t do most of the “big” rides. So, everyone has time to do the things on their list. We also like to do a character dinner at Goofy’s Kitchen the evening we arrive (non-park day) and we do a character breakfast the morning we depart. So while we usually stay 4 nights, we only spend 3 of the days in the Parks. We tried doing just 2 Park days last year and I actually got a little teary-eyed because we didn’t get to do a lot of the things we wanted. What I like about the 4 day ticket is that you can evenly split your days between Disneyland and Disney California Adventure. 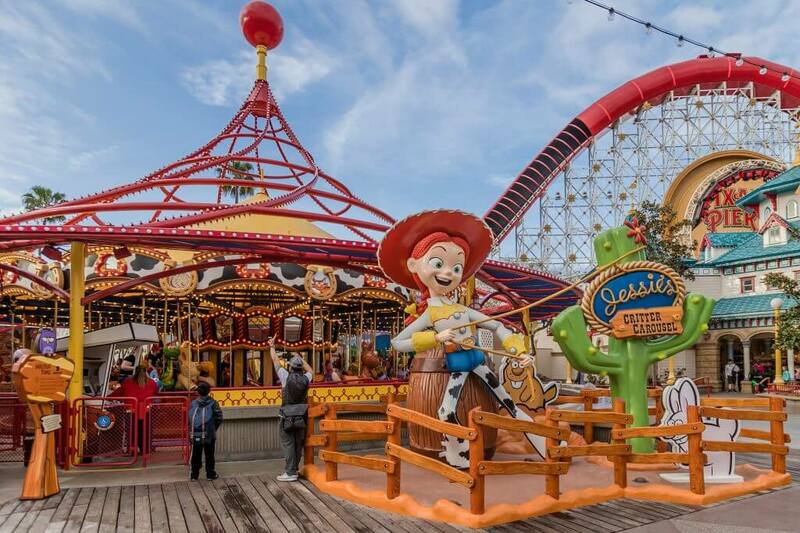 Jessie’s Critter Carousel at Toy Story Boardwalk in Pixar Pier stars Jessie, the yodeling cowgirl, and a friendly bunch of desert critters inspired by the Disney•Pixar “Toy Story” films. 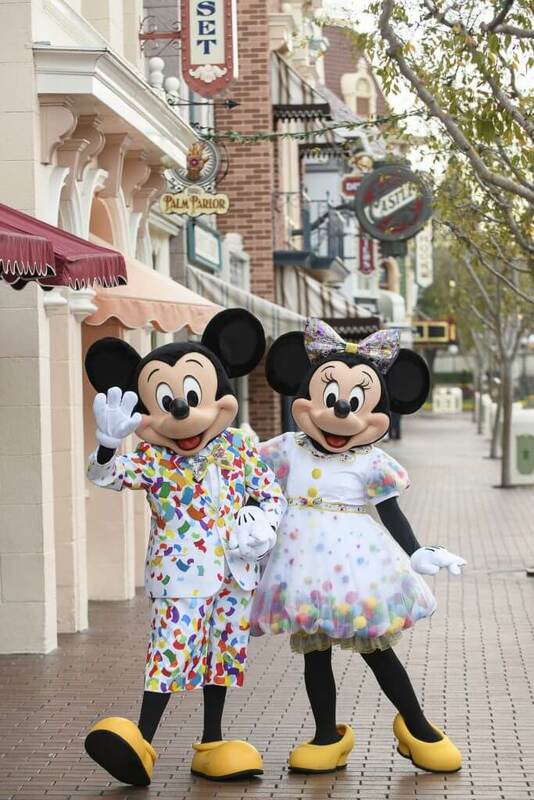 Photo credit: Joshua Sudock/Disneyland Resort. It’s also nice to have a 4 day ticket if you are going when the weather might be rainy. Disneyland doesn’t do their fireworks show, parades get canceled, and some of the attractions shut down in the rain. So, having an extra day is nice. And if you love Disney food, you’ll want at least 4 days so you can eat at some of the popular table service restaurants in both Parks. And you need to save room for all the yummy Disney treats! My travel partner Get Away Today often features hotels that offer your 4th night free! If you are looking to get the most bang for your buck, the 5 day ticket offers the biggest price break. Now, I’m not saying it’s cheap, but your cost per day is cheaper than the 3 day ticket. 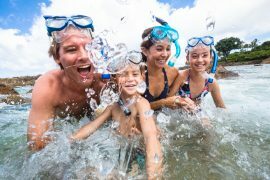 This is great for families who don’t get to Disneyland very often and want the flexibility to “do it all.” It’s perfect if you are going for a full week and plan on having a rest day. And it’s just a little bit more than the 4 day ticket. This works out well if you have an early arrival flight or later departure time. Might as well squeeze out every ounce of Disney fun! Five days is helpful for families who want to make sure everyone in their family has a good time. So, parents and teens can do the thrill rides part of the time and little kids have plenty of time to play and meet characters. No one will feel rushed. What’s cool about the 5 day ticket is that it gives you the freedom to see all the parades, shows, firework shows, World of Color, etc without trying to pack them all into a couple days. And you can do the Plaza Inn character breakfast inside the Park without worrying about it “wasting” valuable Park time. 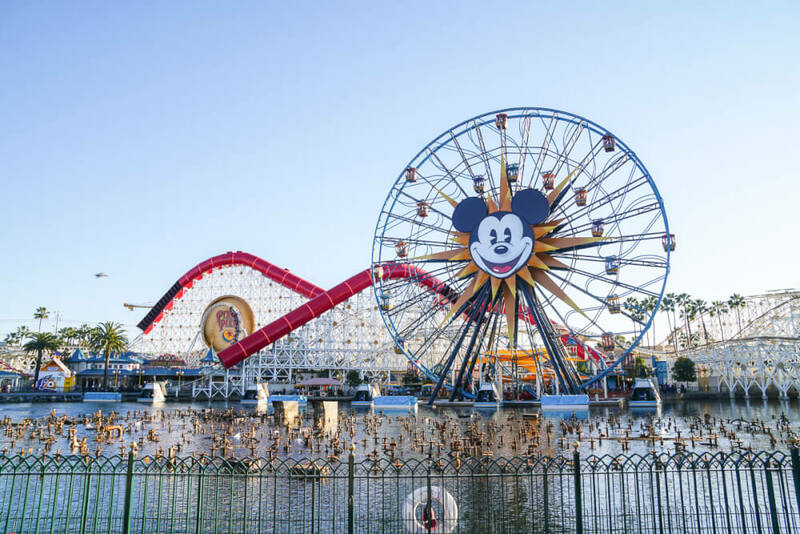 With the 5 day ticket, you won’t need to upgrade to a Park Hopper ticket because you’ll have plenty of time to explore Disneyland and Disney California Adventure. If you are planning one big trip to Disneyland (and aren’t on a tight budget) the 5 day ticket is probably your best bet. If you are heading to Disneyland with a larger budget, I have lots of ways you can spend it! I’m a HUGE fan of Disney character meals. 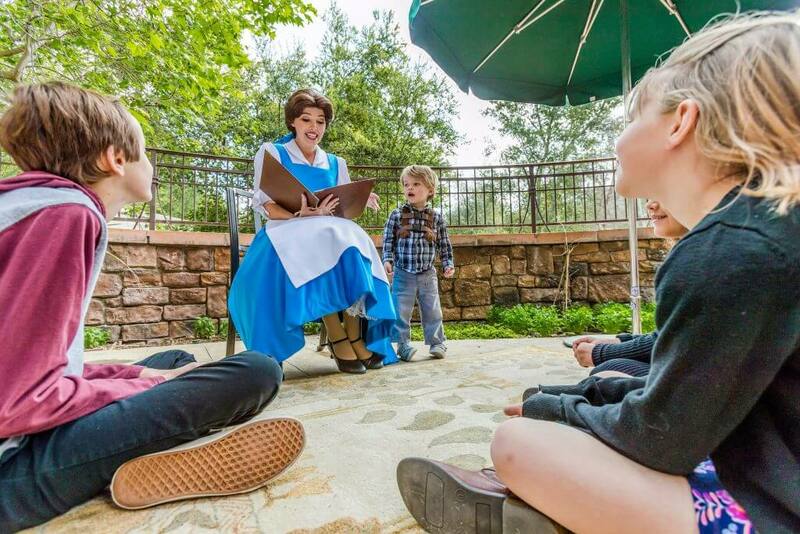 The newest one is the Disney Princess Adventures at Disney’s Grand Californian Resort & Spa. It’s the priciest option ($125 per person, including kids) but it’s the only one to see the princesses at a character meal. And if you want a VIP experience, I’ve been hearing great things about the Disneyland Resort VIP Tour and the Grand Circle Tour. One of my favorite splurges is doing a Disneyland photo shoot with a professional photographer. I really like Adam & Claudia Photography. They specialize in engagement, maternity, and family photos at Disneyland. Use code MOMMYLAND-25 for $25 off your photo shoot. If you are going during the busy holiday season or anytime school is out and you want to make the most out of your FastPasses, the MaxPass is probably a good investment. While we don’t do a lot of the FastPass attractions, I love MaxPass because it gets me the PhotoPass. So, we can just have one person get the MaxPass and everyone in our family uses it for the photos. There are also a couple of fun hotel options. For staying on property, we recommend the gorgeous Disney’s Grand Californian Resort & Spa. 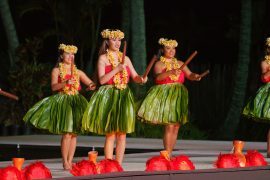 They have an amazing pool area plus you can treat yourself to fabulous spa treatments on your day off from the Parks! For a Disney Good Neighbor Hotel, we recommend the popular Courtyard Anaheim Theme Park Entrance. They are located across the street from the Park entrances and they have an extensive water park at their pool. If you have a moderate budget, let me show you where to splurge and where to save. Yes, I’m one of those moms who insists everyone wears something Disney-related for every day in the Park. I keep my eyes out for the big sales at the Disney Store and also look at Target for matching shirts for my boys. Target also sells a lot of holiday-related Mickey shirts. Now, normally I would never pay $25 for a bubble wand. I had major sticker shock when I first saw that. However, it’s a total investment and it will keep your keeps entertained and occupied when they are waiting for a ride, hanging out before a parade, or chilling in their stroller. Breakfast is the cheapest character meal you can do. 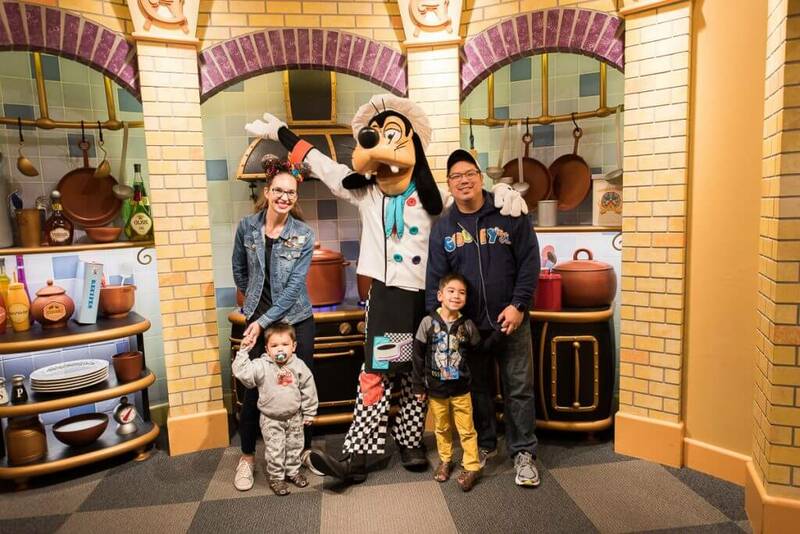 I’d recommend Goofy’s Kitchen because their food is actually really good and they have extensive options for both adults and kids. I’d do this on a non-park day so you don’t feel rushed and can take some time to walk around the Disneyland Hotel. And if you are looking for Disneyland hotel with an awesome pool, try the Howard Johnson Anaheim Hotel and Water Park. If you are heading to Disneyland on a budget, here are some ways to cut costs without sacrificing fun! It’s easy to spend and arm and a leg buying souvenirs at Disneyland. We’ve been shocked how quickly items add up! But, if you know your kids are going to want souvenirs, you can purchase cute Disney items ahead of time at Target, Walmart, Dollar Tree, or off Amazon and then surprise them in the Parks. This is also a fun way to bring a bit of magic at your hotel. Just say it’s a treat from Mickey! The easiest way to save money on food at Disneyland is to bring in your own snacks. Target sells Mickey shaped goldfish crackers that are always a hit with my kids. And I’ve picked up Disney themed candy and treats at my local grocery store and brought on our trip. But, I do recommend eating in the Parks at least a few times. We’ve found the food portions at Disneyland to be pretty big so you can definitely share with your family. We like sharing a Dole Whip before it melts! And grabbing some yummy treats from Bing Bong’s Sweet Shop! If you are looking to save money at Disneyland, you can easily skip the MaxPass. It’s definitely more of a luxury that saves you time. This is especially important if you have limited days in the Parks and want to maximize every day. To save money at Disneyland, we like to stay off site. We like the Park Vue Inn because it’s right across the street from the Park entrances. Ok, if you now know how many days to spend at Disneyland for your family, I recommend buying your tickets through Get Away Today. 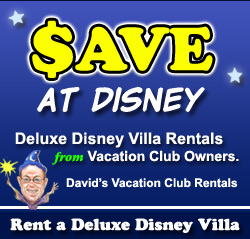 They offer discount Disneyland tickets and packages. And with Disney, every dollar counts! 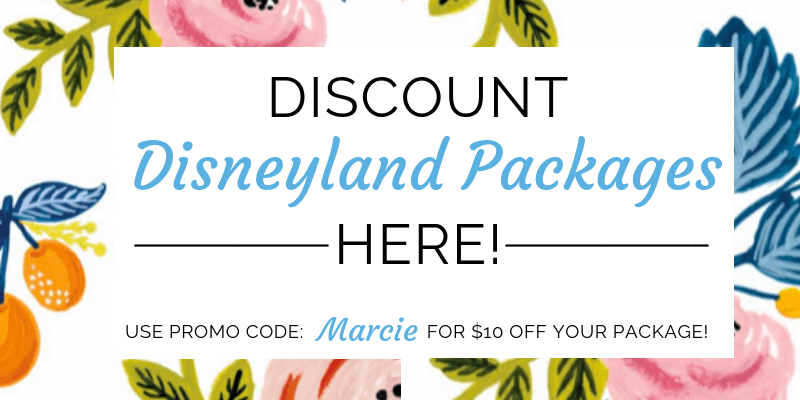 Plus, if you book your Disneyland vacation package through them for at least 2 nights, you can use the code MARCIE for an extra $10 off your vacation! And a lot of their hotels offer a 4th night free! I hope this helps you figure out how many days to spend at Disneyland for your next epic Disney vacation! We’ve been to Disney World so many times, but never to Disney Land. I hope we can go one day! I love that you spent a day in Disneyland by yourself! That sounds so fun. We’ve been to Disney World a few times but have only been to Disney Land once. I’d like to visit again. I’ve only been to Disney WORLD once, but it was amazing! 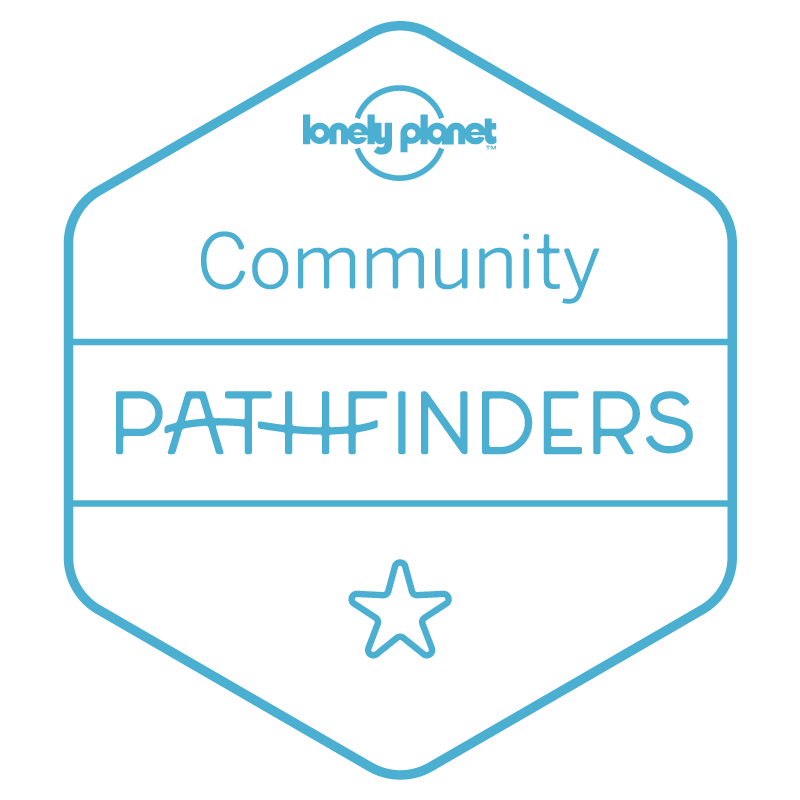 This is jam-packed with amazing info!! Love all the great tips! Aww, thanks! Glad to help! The character meet and greets can definitely add some time, especially the princesses! But, our kids love meeting characters! I actually enjoy Disneyland more than WDW because it is much less overwhelming and easier to see everything. This is a great breakdown on how to see it all!! Yes, I was completely overwhelmed at WDW because there’s such a learning curve. I love how easy Disneyland is to navigate! Seriously! They even eat free at the sit down restaurants!